Is Fasting for Christians Today? 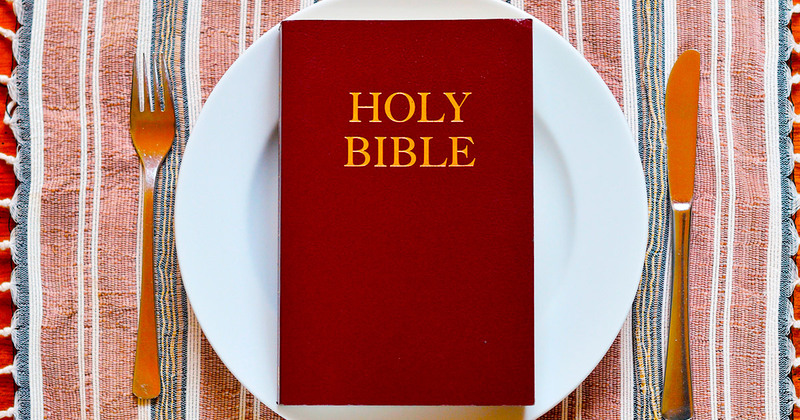 What does the Bible teach about fasting? Is it for Christians today? Fasting, in the biblical sense, is the abstaining from food and drink for a spiritual reason. In the Old Testament era, the Jews fasted frequently, though there was only one fast prescribed by the law. Once each year on the Day of Atonement the Hebrews were to afflict their souls (Lev. 16:31), which meant fasting (cf. Isa. 58:3). Though there are no compulsory fasts required of Christians today, the New Testament seems to take for granted that children of God would see the need to fast occasionally. When the Lord’s disciples were criticized for not fasting, Jesus responded by suggesting that it was hardly appropriate for them to fast while he was yet with them. The time would come, however, when he would be taken away from them. Then they would fast (Lk. 5:35). Too, in cautioning against improper motivation in worship, Christ warned: “Moreover when you fast, be not, as hypocrites” (Mt. 6:16). It is significant that he did not say if but when ye fast reflecting an expectation that they would. Fasting, for the Christian, is strictly voluntary. It should arise out of a feeling of intense need, not as a result of mere ritual or formality. When would fasting be of value? Fasting may be spiritually beneficial in times of personal sorrow. David and his men mourned and fasted upon hearing of the death of Saul (2 Sam. 1:12). So did Nehemiah when he learned about Jerusalem’s decimated condition (Neh. 1:4). Fasting, with prayer, certainly seems appropriate when a loved one is critically ill (2 Sam. 12:16). Fasting frequently accompanied repentance as an outward and genuine indication of contrition for spiritual rebellion (1 Sam. 7:6). The people of Nineveh proclaimed a fast when brought to a recognition of their sins (Jon. 3:5). Fasting was practiced in connection with great and important religious events. Moses fasted during that period when he was receiving the law (Ex. 34:28). Christ fasted prior to his encounter with Satan in the wilderness (Mt. 4:2). The church fasted before sending Barnabas and Saul on that perilous first missionary campaign (Acts 13:2-3). Fasting was certainly a component in the dynamic ministry of Paul (2 Cor. 6:5; 11:27). Admittedly, however, fasting can be abused. The practice must never be employed as a substitute for personal godly living. Isaiah delivered a blistering rebuke to those who fasted, then pursued their own worldly pleasures (Isa. 58). Moreover, fasting must not be an occasion for the flaunting of one’s religion. The Pharisees were guilty of this very thing (Mt. 6:16-18). Finally, the rigors of fasting must not be allowed to ignite a spirit of religious smugness and self-righteousness. This certainly could be a temptation (cf. Lk. 18:9-14). In the final analysis, there does seem to be some benefits in voluntary fasting at certain times. The Scriptures seem to suggest that God honors fasting when performed as a token of deep and sincere dedication. The mind appears to be able to plumb greater depths of contemplation during periods of fasting. Fasting can help one hone a keener edge on self-discipline. Fasting can also have the added effect of reinforcing our appreciation for those things of which we’re deprived during the periods of abstention.